Shreeguru - one who is divinely blessed, a guide and intimate friend to the aspirant. His direction helps the individual increase the potential to live an ethical and spiritual life. has initiated the SOM (Santulan Om Meditation) and SKY (Santulan Kriya Yoga) techniques. He is the founder of the Atmasantulana Village, a world-renowned holistic healing centre. 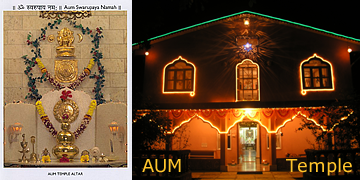 He established the world's first and only Aum Temple. He has authored several books on the spiritual sciences, Yoga and Ayurveda. His compositions, healing music albums and concerts are an outcome of extensive research. He is an Ayurvedic doctor, engineer, artist, cosmologist and agriculturalist. 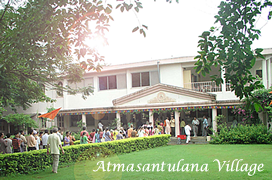 His father Ved Shastra Sampanna Shri Vasudev Tambeshastri was an authority on the Vedic scriptures and spiritual sciences. Dr. Shri Balaji Tambe shares his time between Karla, India as well as Munich and Gleichen in Germany and conducts seminars all over the world. His family consists of his wife, two sons and daughters-in-law as well as four granddaughters, apart from a large, extended family of disciples. 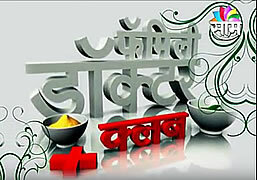 He is a director on the board of the Sakal Media Group, which publishes the prestigious Marathi newspaper, Sakal. He is also Chief Mentor of Family Doctor, the newspaper's most successful weekly supplement (16-pages) that runs into more than 2 million copies. His ability to deal with all subjects, scientific, medical, social and technical, based on his life philosophy, has inspired many projects of great social relevance both in India and abroad. In this book Shreeguru Balaji identifies why a person who wants to change himself is unable to do so, and connects that cause with the discontent that afflicts all human beings. 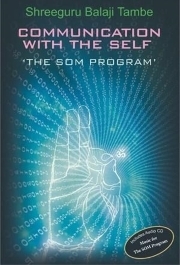 The fundamental question being answered is, “Who is this self with whom we want to communicate?” He then outlines how to establish such contact and teaches a set of simple practices that will lead to a dialogue between your outer personality and your entity within that opens the doors to both material and spiritual well-being. Copyright © 2019 Dr. Shri Balaji Tambe. Joomla templates powered by Sparky.